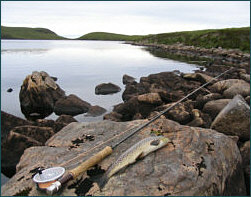 When we think of Scottish trout fishing, our thoughts turn first to the lochs, where we might fish, "loch style", from a drifting boat, casting a team of wet flies on a short line to eager wild brown trout on an equally wild highland loch set amid heather clad mountains, or working our way along a loch shore, miles from anywhere, casting here and there, with only the curlews, oyster catchers and maybe the occasional osprey for company. Given a good wind and a bit of cloud, we might fill a basket with bright, breakfast brownies or, more likely, delight in returning them to the loch, with no more than a brace or two of the better fish kept for the table. The fishing need not be demanding, nor the method complicated. A limber rod of ten feet or so, its name and maker long forgotten, a double tapered floating line, and a cast of three loch flies, selected from an old and battered box of famous patterns........ Greenwell's Glory, Butcher, Mallard and Claret, Zulu, Cinnamon and Gold, Black Pennell, Red Palmer, Invicta, Grouse and Green, Peter Ross, Woodcock and Yellow, Blae and Black..... no need to fret over your choice, they will all catch Scottish troot. Mind you, we all have our favourites. But we should not allow the loch fishing, despite its matchless quality, to completely overshadow our river trout fishing here in Scotland. 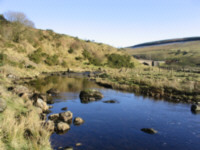 In rivers like the Don, Tay, Tweed and Clyde, we have river brown trout fishing to match any in the world. 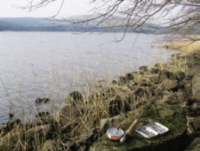 But river trout fishing may be regarded in some ways as slightly more challenging than loch fishing, a bit less straightforward, demanding more of the fisherman in terms of approach, care and effort. 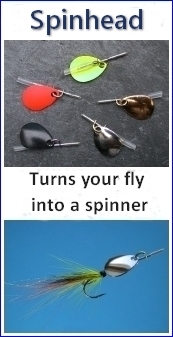 Of course, river fishing can be as relaxing or as challenging as we care to make it but, for consistent success, the fly fisher on the river may need a more flexible approach, adapting to the subtly changing conditions of the day, hour or minute. A simple, leisurely down-and-across wet fly, perhaps a Greenwell's Glory or Silver Butcher, may at times meet with success. At others, the trout might accept nothing less than a close copy of a favourite meal, maybe a size 12 March Brown or a size 14 large dark olive, a finely dressed dry fly cast on to its nose with delicate precision. On some days it will be the master of the nymph who scores, while on others the best trout may be attracted by a cast of sparsely dressed spiders, cast gently upstream and allowed to drift down over a likely lie. 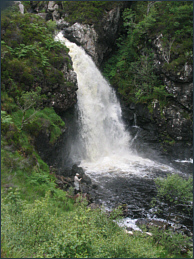 For the accomplished fly fisher who is prepared to make the effort, Scotland offers some of the best river fly fishing in the world.